When you look younger, you’ll feel younger and who doesn’t want that as they age? 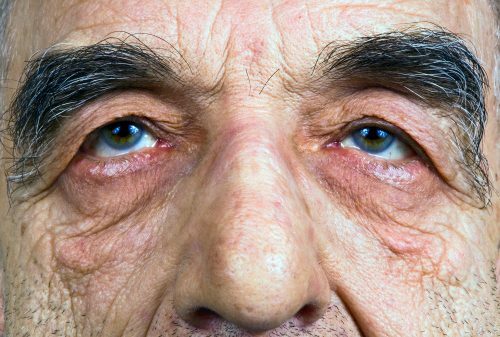 Aging can take a toll on your body and make you look older than you really are. There are a number of things that could be giving away your age, especially if you’re ignoring them. If you address these areas, chances are, you’ll probably look younger which will result in a more positive attitude when it comes to aging. Over the years, drinking and eating a variety of things can change the color of your teeth from a vibrant white to a gross yellow. If you’re a smoker, the color change is even more pronounced. The good news is that there are whitening kits that are available over-the-counter as well as whitening options available at your dentist. Additionally, over time your teeth can become worn, especially if you tend to grind your teeth. Speak to your dentist about treatment options that are available for teeth that look worn. Having a pearly white smile will do wonders for your self-esteem. These brown spots that are commonly associated with aging are referred to as “age spots” and occur after multiple years of sun exposure. To minimize the chance of developing age spots regularly use sunscreen. Exfoliating on a regular basis will also help skin look younger by creating a more even appearance. Many people protect their face from the effects of aging, and many people cover up the effects of aging with make-up. However, many fail to protect areas below their chin. Don’t forget to treat your neck and chest, this skin needs attention too as it is commonly exposed to damage caused by the sun, wind and other environmental elements. Be sure to keep your neck and upper chest moisturized and protected with SPF that has both UVA and UVB protection. Aging, exposure to chemicals (from hair coloring products) and environment damage can all make your hair look dry and damaged. One of the major reasons that hair appears dry is that it is – it needs moisture. This can be obtained by using a protein or antioxidant rich conditioner after you shampoo. This will help to create shiny, healthy looking hair which will help you feel younger. In an effort to minimize your exposure to chemicals, opt for root touch ups as opposed to full color when it’s time to re-color. And try to soften up your color (think: auburn brown instead of jet black) as you go through the aging process. A color that you used when you were 20 may not have the same positive effect when you’re 50. Consult a hair color specialist at your salon if necessary to pick a shade that will help you to look and feel younger. No wonder your hands give away your age, you touch everything around you and you use them all the time! Not to mention, they’re exposed to the damaging effects of the sun. Aging hands will have veins and arteries that are more prominent because of decreased collagen production as well as visible sun damage as many people forget to protect them. While you may be able to “cover up” the effects of aging on your face with make-up, it may not be so easy to cover up your hands. Protect your hands from sun damage by applying sunscreen and keeping them moisturized to prevent dry, cracked skin. Another step to help them look and feel younger is to exfoliate regularly which will help to improve circulation. If you take steps to protect these areas, you will look younger which will hopefully make you feel younger. You can’t stop the aging process, but you can help to minimize the effect that aging has on your body.